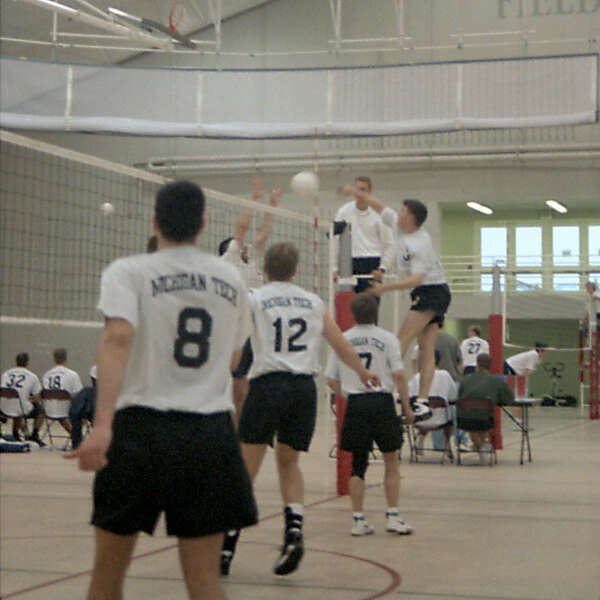 I played setter for the 1996-1997 Michigan Technological University Club Volleyball Team. 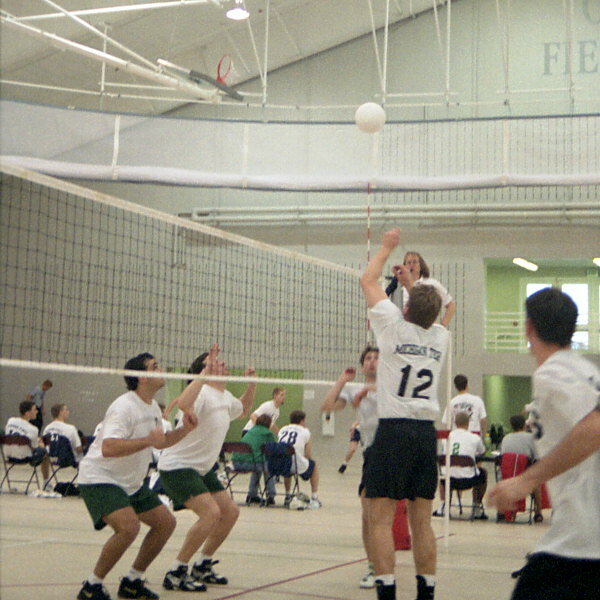 We (the MTU Volleyball Club) were invited and attended the NIRSA Collegiate Volleyball Sport Club Nationals which were held in April 1997 in Tucson, Arizona. 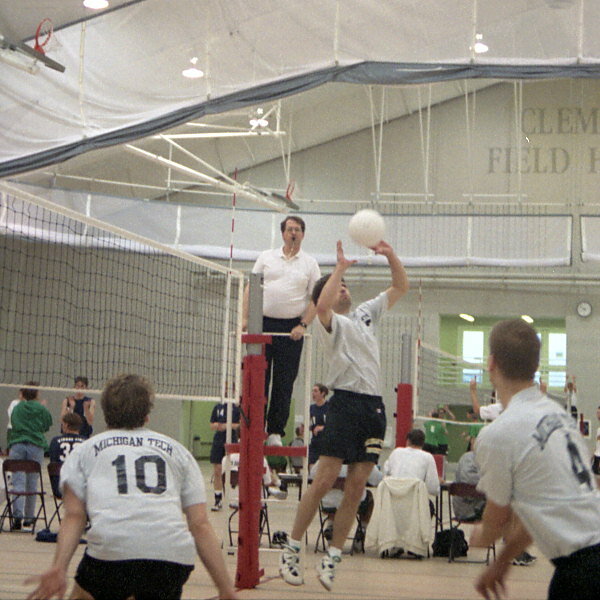 We were ranked 19th in the nation entering the national tournament. 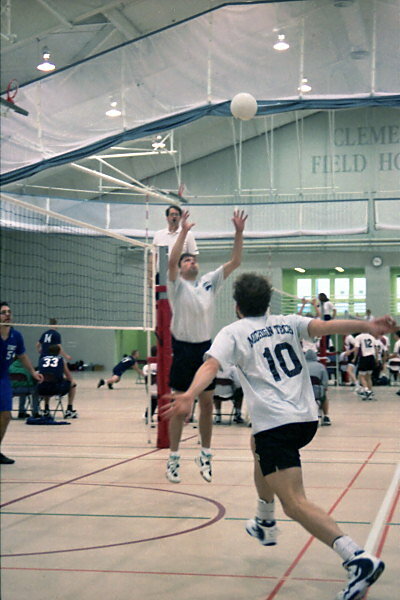 We placed 22nd our of 48 division II teams, and knocked off the sixth seeded team during the tournament. 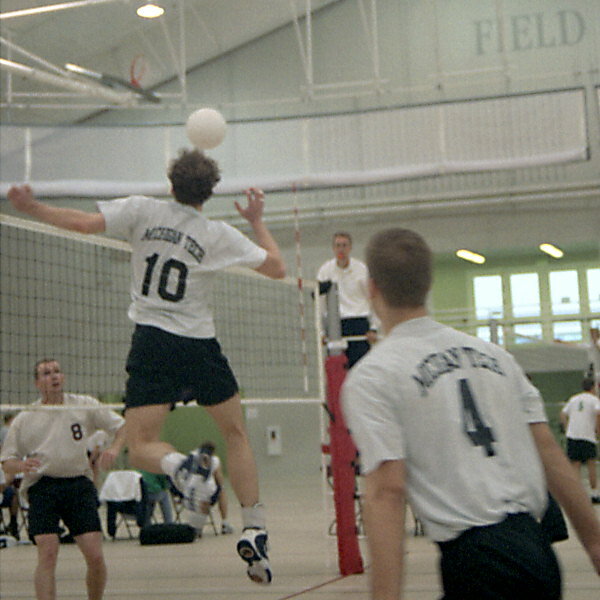 We also placed second in the NIVC and I earned an all-conference team honor. 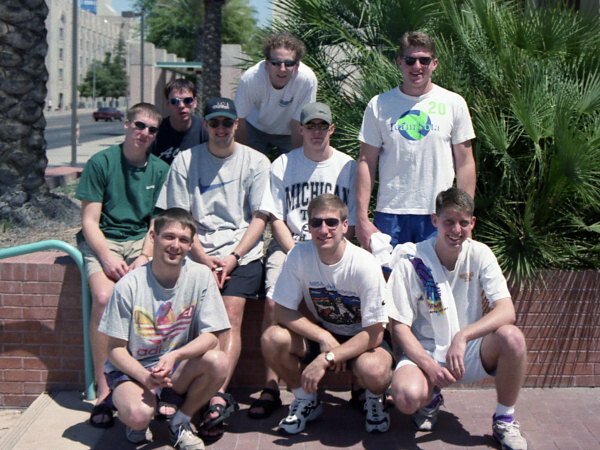 Bottom Row: Todd Hahn, Kurt Gitzlaff, Kevin ?last name? 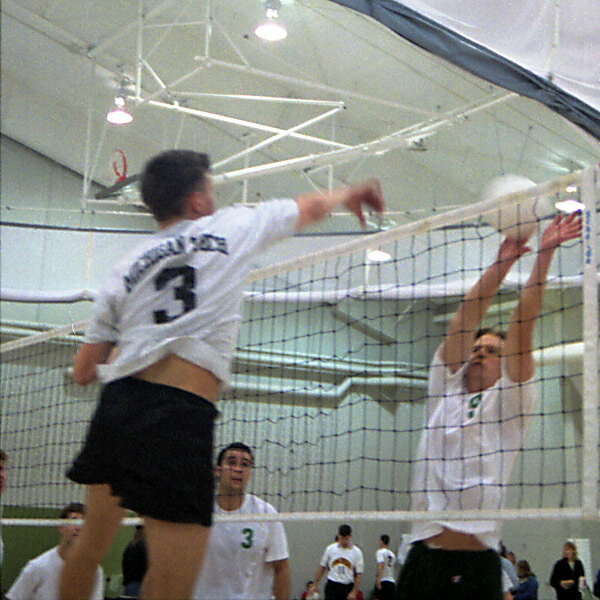 Todd Hahn sets Matt Lorenz. 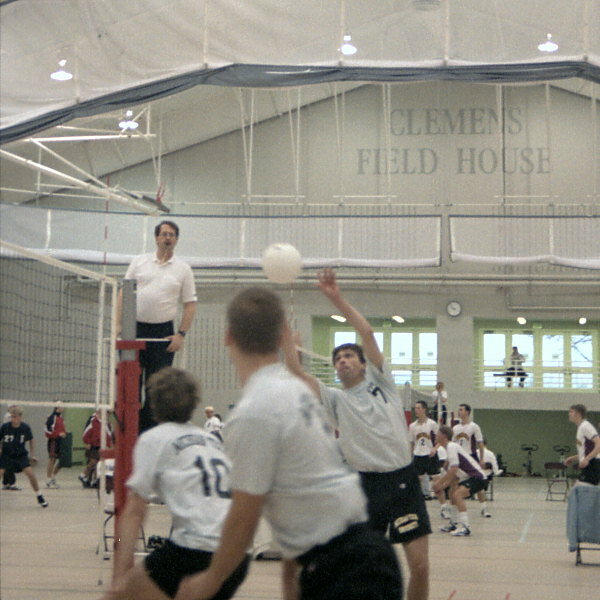 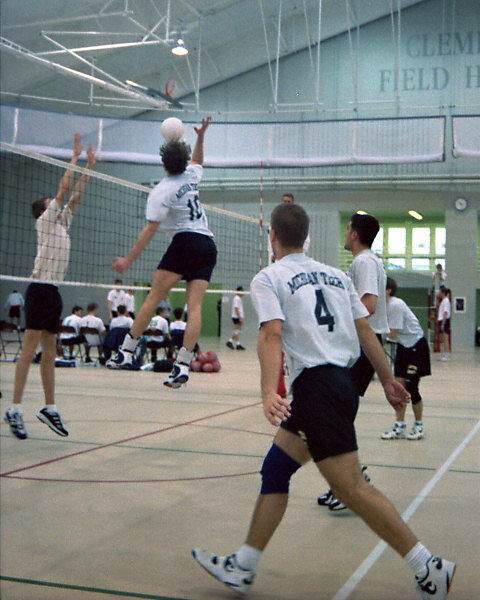 1996-1997 Michigan Tech Men's Club Volleyball setter, Todd Hahn, forcing a "1". 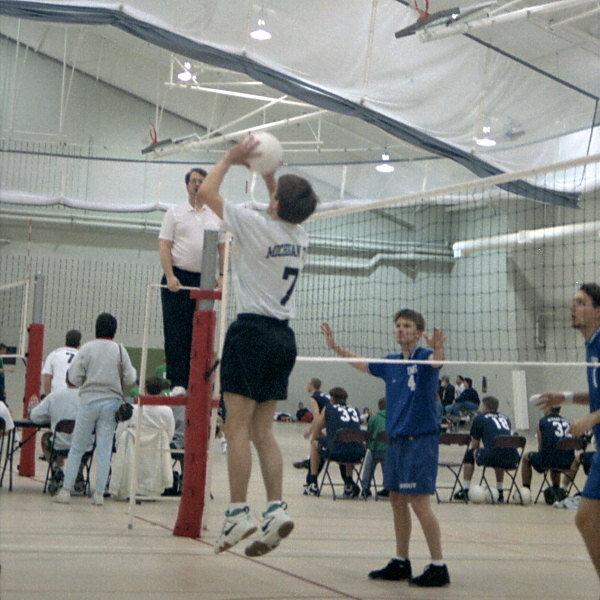 Steve Anderson, opposite hitter against the Minnesota II team. 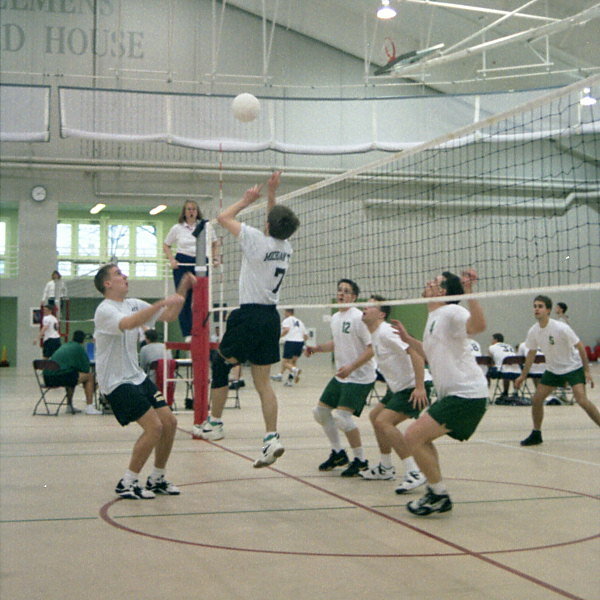 Matt Lorenz hitting a "1".